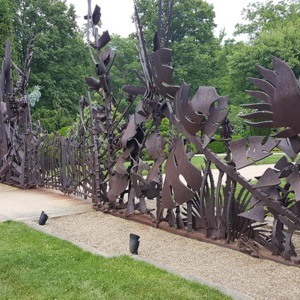 A large-scale exterior gate commissioned for the Cleveland Botanical Garden. 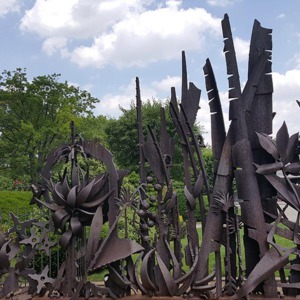 The form is comprised of elements representing native botanical elements found within the gardens such as basswood tree leaves and seedpods, Ohio buckeye leaves flowers and seedpods, sugar maple and poplar tree elements. 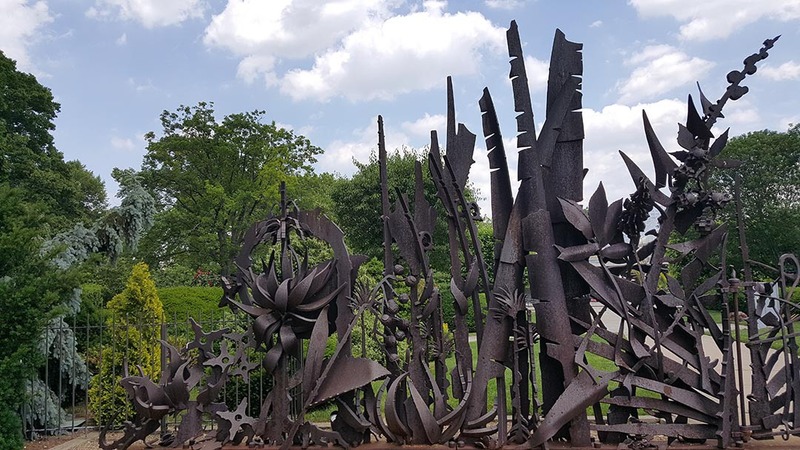 Location: Cleveland Botanical Gardens, East Blvd. 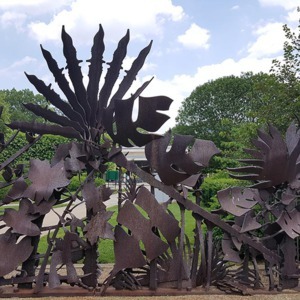 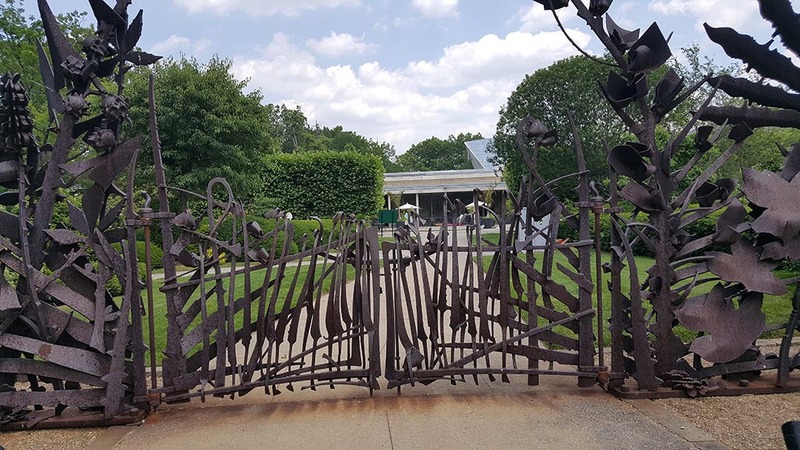 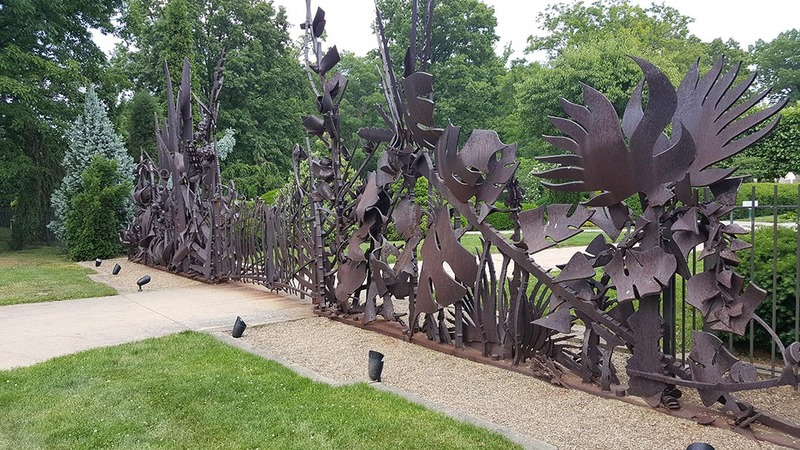 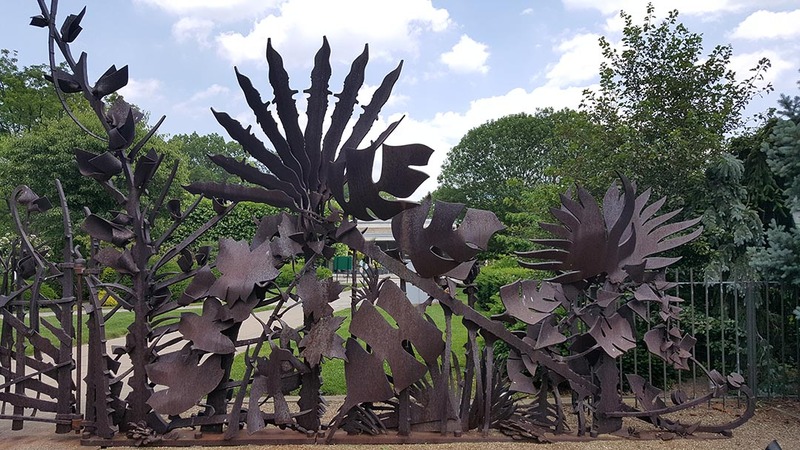 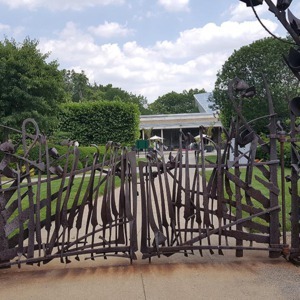 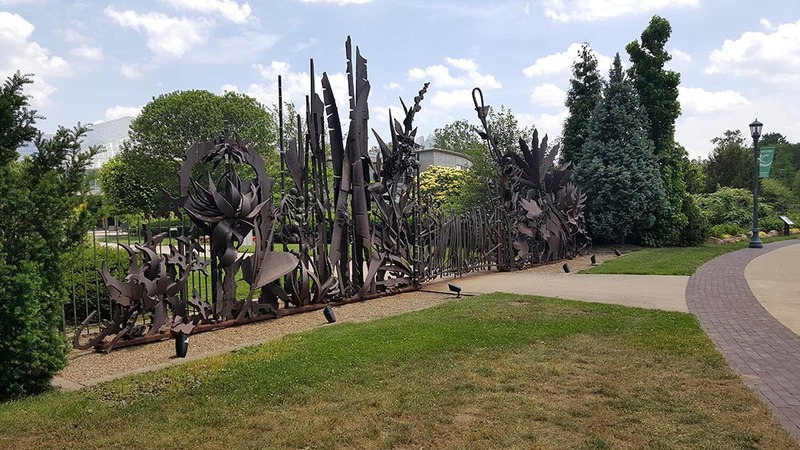 : Albert Paley, “Cleveland Botanical Garden Gate,” Ohio Outdoor Sculpture Inventory, accessed April 18, 2019, http://oosi.sculpturecenter.org/items/show/1393.